According the Collins English Dictionary, “if you describe something as ethical, you mean that it is morally right or morally acceptable”. In this sense, ethical fashion represents an approach to the design, sourcing and manufacturing of clothing, which maximizes benefits to people and communities while minimizing impact on the environment. At certain times, ethical fashion also mean going beyond what is stated above and playing an active role increasing the capacity and wellbeing of the people and the human workforce behind these fashion labels. We at BOB are constantly searching for ways to be a more ethical consumer and we have found some resources that are both helpful and informative. So here are our top 6 picks! 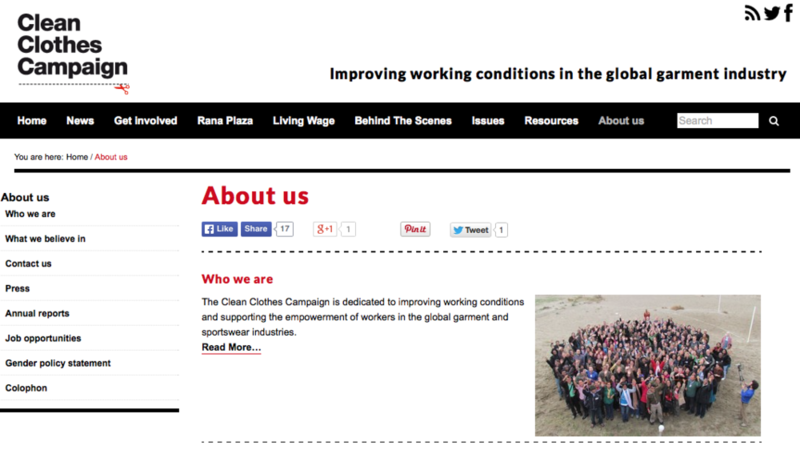 The Clean Clothes Campaign is dedicated to improving working conditions and supporting the empowerment of workers in the global garment and sportswear industries. For more info, check out their website. Eco Fashion World is an essential resource to sustainable designer brands and online eco fashion store. For more info, check out their website here. GoodGuide is a comprehensive, authoritative resource for information about the health, environmental and social performance of consumer products and companies. For more info, check out their website here. Good On You rates over 900 clothing brands and more than 1,000 cosmetic and personal care brands so that you can choose a product that makes you look good, feel good and do good. For more info, check out their website here. The Ethical Fashion Forum launched the SOURCE, a ground breaking social enterprise set to transform livelihoods for 2.5 million people in the developing world and significantly reduce the environmental impact of the fashion industry. For more info, check out their website here. We Do Ethical Fashion Organization follows its commitment of raising awareness and the profile of ethical fashion through various initiatives, events and projects worldwide. This is an online resource for all things ethical fashionthat has links to supplies of fair trade and child labour free fashion and promotes recycling and up-cycling. For more info, check out their website here.